Guess what I did on my break. 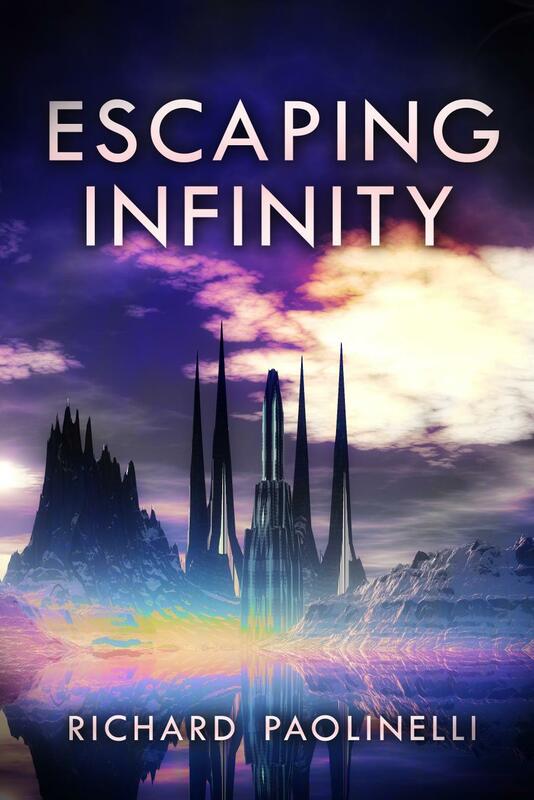 A .... somewhat embarrassingly long time ago, Richard Paolinelli gave me an e-copy of Escaping Infinity. I didn't get around to it for multiple reasons -- including that I really hate using Calibre conversion from PDF to Mobi. Either way, I really wasn't quite certain what to expect, even when I saw the description on Amazon. Thousands have checked into the Infinity Hotel over the years. None of them have ever checked out. Peter Childress and Charlie Womack are successful engineers on their way to Phoenix for an important presentation. But one of Charlie’s infamous “shortcuts” has gotten them good and lost once again. As night falls, the pair stumble across the Infinity Hotel and the promise of a meal, fuel and a good night’s sleep before starting off fresh in the morning is too good to pass up. But while Charlie immediately takes to the hotel’s amazing amenities, Peter begins to uncover some of the hotel’s dark secrets – a seemingly unlimited number of floors, guests that appear out of time and place and a next morning that never seems to come. Worse still, the entrance to the Infinity has disappeared and no other apparent exit back to the outside world is in sight. Now, under the watchful eyes of the hotel’s manager and front desk clerk, Peter searches for a way back out and uncovers the horrible truth behind the mystery of the Infinity Hotel. Reads like a scifi version of The Twilight Zone as done in The Hotel California, doesn't it? Yeah, pretty much. Sort of. After a fashion. Though if you're worried that the description above will spoil the plot, it only covers up to chapter 2. Our hero, Childress, has already started to peace together that the hotel is bigger on the inside by this point. Yes, the Hotel Infinity is bigger on the inside. And if you think that's bad, you should see the Star Trek references. Heh. The book is written in a style that's very novel-like. Less Victor Hugo, and more modern novel, but Richard is very much an artist with no pretensions. It's smart and well-thought-out, a mystery that plays perfectly fair, and gives the reader all of the pieces and parts to figure out what the bloody blue heck is going on. However, you really won't figure it out. And, one of the nice things here is that everyone has a back story. And I do mean everybody. If they have a name, they have a backstory. There's at least one chapter of history for almost every named character. I will say that going from the prologue to chapter 1 in a little disorienting, as it goes from space opera, David Weber style, to a road trip in the South West. The last 10% of the book could have been an additional novel by itself, with what it pulled off. But the ending we got gave a complete, satisfying conclusion to the story, the characters, and the world that's been established. At the end of the day, this book starts out like David Weber, continued as written by Rod Serling, and ends with the epic scope of John C. Wright. Yes. I went there. Richard Paolinelli obviously thinks in terms of epic scope. I won't say that Paolinelli is in Wright's league just yet. Give him another book or two, and expect Wright to have serious competition in the "awe-inspiring scale" category. Remember how I had problems with deciding what my "best scifi novel" would be for this year's Dragon Awards? I don't have that problem anymore. Also, check the date -- it came out in December. If people still need to nominate for the Hugos, trust me, you'll want to consider this one. Escaping Infinity is an awesome book, and I look forward to Paolinelli's next work. 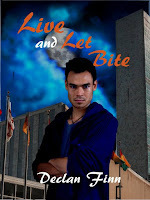 While not quites as epic, but nearly as good, check out the Love At First Bite Series. That review made me buy the book. The author approves this message and profusely thanks the messenger. I hope you enjoy it as much as Declan did.